Get income tax preparation and filing over with now! In a few short weeks the deadline will roll around. The deadline to file personal income taxes isn’t here yet, but in a few short weeks it’ll be April 15 – the deadline to file your federal individual income tax return. Whether you decide to do it yourself or hire an accountant, learn how to simplify the process so you end up filing on time and getting a nice refund if you are due one. Employers are required to provide employees Form W-2 by January 31, so if you still haven’t received anything from your employer, it’s time to ask for a copy of it. As these forms come in, keep them together with other paperwork you’ll need to complete your tax filing, like 1099s (for contractors and the self-employed), 1098s, and tax deductible donation slips. Determine how you’re taxes will be prepared. Everyone’s situation is different but the options to getting your taxes prepared are plenty. If you don’t have to time to do it yourself or have a complicated situation, then going with a professional certified public accountant may be the best route, but if your situation is fairly straightforward, using one of the many tax preparation software programs is not a bad idea. Many of these software programs take you step-by-step through the process so there’s little stress to doing it yourself. Qualifying taxpayers may also have their tax return prepared for free through the Volunteer Income Tax Assistance (VITA) program or the Tax Counseling for the Elderly program. Those who qualify generally make $53,000 or less per year, are persons with disabilities, the elderly with limited English, or are 60 years and older. Decide on your filing status. If you are married, decide on whether your taxes will be filed jointly or separately. Generally the tax benefit is greater when you file jointly, but seek the advice of a professional CPA depending on your situation. Become familiar with the additional tax deduction opportunities like if you made a qualifying charitable donations in the form of cash, clothing, electronics, or if there was cost of travel to make the donation. Other tax deduction opportunities include professional expenses that were not reimbursed by your company (i.e. professional dues, professional subscriptions) or if you’re self-employed things like a vehicle you use for work. Child care and senior care for dependents as well as healthcare expenses are also areas where you may find deductions. Check with your accountant or the IRS for full details to credits and deductions you may qualify for. As if there isn’t enough paperwork involved in preparing your taxes, you can reduce it by filing your taxes electronically. Filing electronically also means the IRS will process your return faster (as much as three to six weeks faster) than paper returns and you’ll receive your refund quicker, too. And speaking of refund, go for direct deposit, this way you won’t have to wait for the check in the mail and the chance of it getting lost in the mail. Photo by Matt Aiello, via Free Images. 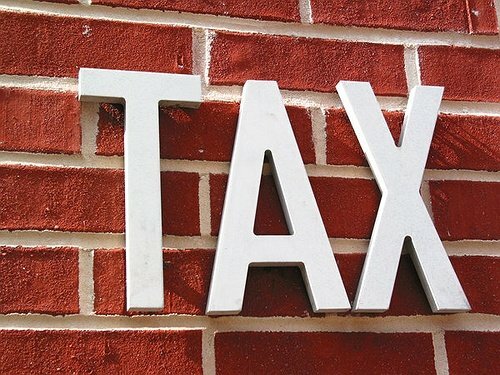 Subject: LongIsland.com - Your Name sent you Article details of "Take the Hassle Out of Income Tax Filing: Tips to Preparing, Filing & Getting Your Refund"